Don’t freak out about FAT! I know it’s easy to get hung up on the idea that dietary fat makes you fat – but don’t fall for this false notion! The truth is, incorporating enough dietary fat, the “right” kind of fat into your diet is essential to making a positive impact on your overall health and well being. Whether your fitness goals include fat loss, muscle gain or just maintenance – dietary fats are an important part of any balanced, healthy diet. In order to break through that mold of fearing the fat…I’ll break things down for you (literally). Fats are energy dense, (9 calories per gram compared to carbs/proteins which are 4 calories per gram), so calories from fat can add up quickly. The fact that dietary fat calories can add up quickly is one of the key reasons why fats have been demonized. Of course, if most of your dietary fat comes from fried or greasy foods, baked goods, or lots of cheese and fatty meats – it deserves to be demonized, because ultimately maintaining a diet like that can potentially cause your health to suffer. That’s because these foods are typically highest in trans fats and saturated fats, which are recommended to be avoided and limited, respectively, by most health organizations and professionals. Focusing on adding healthier dietary fats to your diet, like those from nuts, seeds, fatty fish, oils and grass-fed meats is absolutely recommended. On the flip side, not having enough fat in your diet can cause symptoms like extreme mental fatigue, dry skin, excessive hunger, loss of menstrual cycle, and more. Here are just a few reasons why having enough fat in your diet, and even on your body, is totally a good thing! Their energy density makes them very satiating – an adequate portion of dietary fat can leave you feeling more full and can help you avoid overeating. Having some body fat is necessary – your body uses stored fat as energy when we go periods of time without food. Did you know your brain needs fat? Brain matter is made up of about 60% fat (when drained of water), so adequate dietary fat is essential for brain function. Monounsaturated fats from foods like olive oil, avocados, almonds, and eggs can also increase production of acetylcholine, a neurotransmitter that plays an important role in learning and memory. Fat protects and insulates your body – The layer of fat under your skin helps regulate internal body temperature. Vital organs, like your kidneys, also have a layer of fat around them that acts kind of like bubble wrap to protect them. 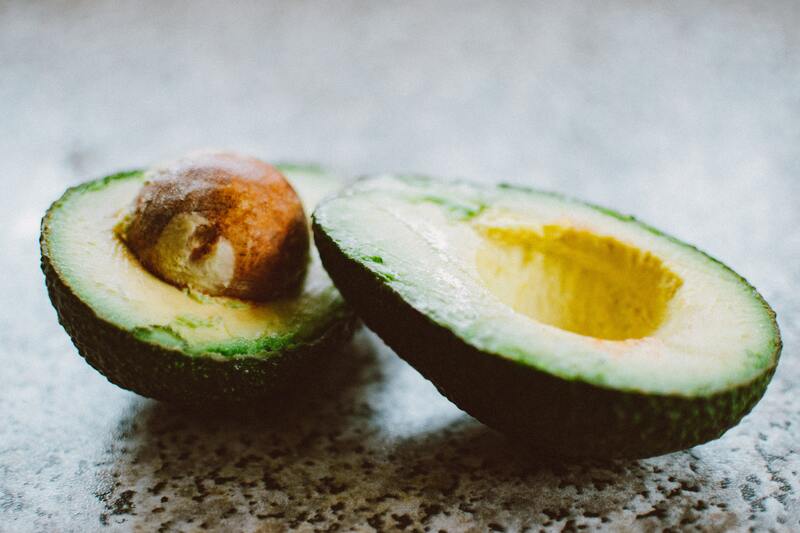 Fats also contribute to healthier skin and hair – Vitamin E, omega-3s, and antioxidants found in foods like avocados, olive oil, and fatty fish all help fight inflammation and improve the look and strength of your hair and skin, among other benefits. Dietary fats are used in the production of phospholipid cell membranes and hormones – Communication between cells is also dependent upon lipids. This means your cells wouldn’t have the proper structure or be able to function correctly without adequate fat. Remember, not all fats are created equal! Educating yourself on the good fats, and choosing the right kinds of dietary fat can make you feel fuller, healthier, and help your body function properly. Don’t forget to also include the occasional high fat snack! You’ll be able to reach and maintain your goals better if you allow yourself to eat those “treat” foods every once in a while. If you liked this article, you’ll love my weekly newsletter! Sign up for health tips and recommendations delivered straight to your inbox.